This article will be updated as soon as new information will become available. We recommend you to link it, and reference it over time. On October 31, 2014, Virgin Galactic’s SpaceShipTwo VSS Enterprise crashed in the Mojave Desert, California, during a test conducted by its partner Scaled Composites. The flight originated by the Mojave Air and Space Port, the first commercial facility in the US to be certified by the Federal Aviation Administration for reusable spacecraft. The accident resulted in the death of Scaled Composites’ co-pilot, Michal Alsbury, while the pilot Peter Siebold, although seriously injured, survived the breakup and parachuted to the ground. The WhiteKnightTwo carrier aircraft Eve landed safely. VSS Enterprise, built by The Spaceship Company, was at that time the sole SS2 test model. The test flight was first powered flight in nine months and the fourth powered flight in total. The flight was supposed to test a new hybrid rocket engine powered by a polyamide-based fuel instead of HTPB, a rubber-based fuel, previously used in the other powered tests of SS2, since April 2013. On May 23, 2014, Virgin Galactic announced SS2’s engine would switch propellant to a polyamide grain fuel mixture – a type of plastic, in order to increase engine performance and improve efficiency and stability. They were expecting that the new motor would have allowed SS2 to fly more than five times higher than the previous tests which have reached an altitude of only 22km instead of the 100km altitude necessary to conventionally reach space. Before the October fatal flight test, the motor fueled by the Polyamide grain mixture was tested extensively on ground in parallel with the rubber-fueled motor. The National Transport Safety Board (NTSB) was immediately dispatched on-site to investigate the accident. According to Christopher Hart, NTSB acting chairman, VSS Enterprise dropped from the mother ship WK2 at about 15 km of altitude and fired its new hybrid rocket engine normally. 13 seconds later, the SS2 broke apart at an altitude of about 18 km giving the appearance of an explosion and creating a 48 to 56 km long debris field. Although initially the concerns were pointed to the new rocket engine, the spacecraft’s motor and propellant tanks were recovered intact, meaning that there was no explosion attributable to the solid fuel or the liquid oxidizer. In a press briefing, the NTSB reported that an analysis of telemetry and video recorded aboard the SS2 revealed the feathering system, the spaceship aero-braking device, deployed earlier than designed and two second after that deployment the VSS Enterprise disintegrated. A camera mounted inside SS2’s cockpit showed Alsbury, the deceased co-pilot, move a handle to unlock the feather system as the rocket plane passed Mach 1. On a nominal SS2 flight, such action was not expected until the rocket plane reaches Mach 1.4. However, although Alsbury unlocked the feathering system, the device extended even thought was not commanded to do so. “This was what we would call an uncommanded feather, which means the feather occurred without the feather lever being moved into the feather position,” Hart said. The NTSB investigation is likely to last many months, looking into every aspect involved in the flight test: design, procedures, training issues and testing. The investigation will be also helped by the six video cameras and six data recorders on-board SS2 along with footage from the WK2, ground-based imagers, and eyewitness interviews. Investigators also planned to interview Siebold, the surviving pilot. WhiteKnightTwo carrier plane. – Credits: D. Miller. Apparently, neither Siebold nor Alsbury were wearing pressure suit or oxygen mask. This aspect makes Siebold’s survival almost miraculous because of the low atmospheric pressure at 18 km of altitude. In fact, it has been assessed that above 15 km the time of useful consciousness – how long after a decompression incident pilots will be able to take the necessary measures to save their lives, is 9 to 12 seconds. However, an explosive or rapid decompression, as the one likely happened to SS2 would have shortened this time to about 5 seconds. According to Washington Post’s sources, Siebold found himself flying through the air while still attached to his ejection seat. He managed to unbuckle himself at about 5 km, deploying his parachute. He suffered a shoulder injury because of the hard landing and he had to undergo minor surgery. The survival of Siebold represents the first time in history of spaceflight that anyone has survived the destruction of a spacecraft during a flight. The incident resulted in the first fatality on a spacecraft since the Space Shuttle Columbia disaster in 2003. Despite the ongoing investigation into the crash, Virgin Galactic’s CEO, George Whitesides confirmed that the company will resume the test flight on the rocket in 2015. Branson’s space tourism firm has also taken over from Scaled Composites the building and the testing of the new craft that will substitute the crashed SS2. 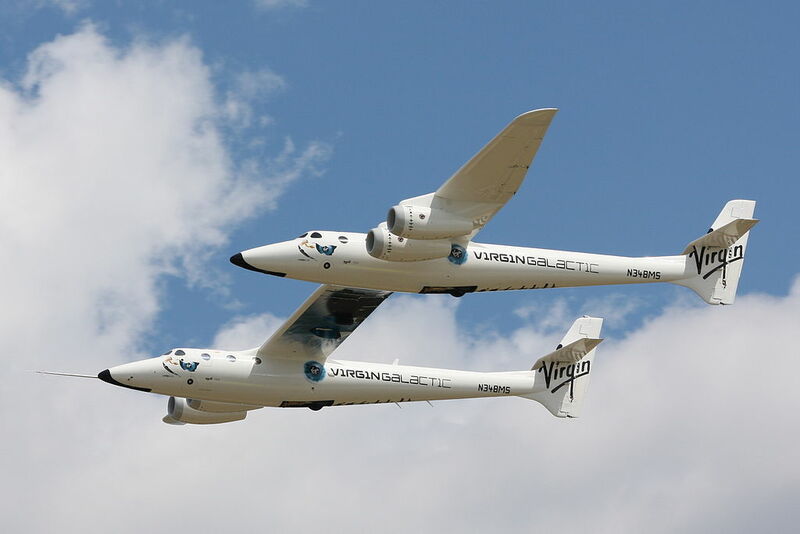 Scaled Composites and Virgin Galactic had a long story of collaboration dated back in 2004, when Scaled Composites designed the first SS2 for Virgin Galactic. According to a Virgin Galactic’s source, Scaled Composites will remain in a supporting role while the second spaceship is built and tested. Before this announcement, Branson revealed in a New Year’s Day blog posting that he seriously thought to end Virgin Galactic’s involvement in the space tourism endeavor. -This article will be updated as soon as new information will become available. We recommend you to link it, and reference it over time.